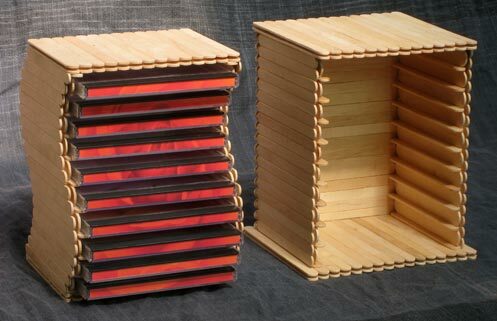 I designed this CD rack for my students. It’s made entirely from popsicle sticks. You will need a special 15 mm thick stick if you wish to make one. 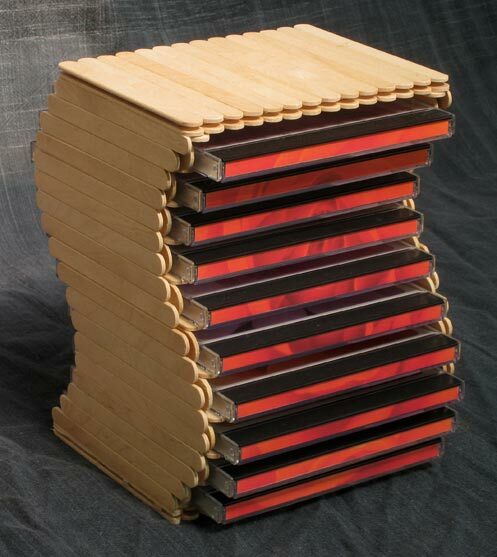 After the first design for my students I designed the special curved rack for my 10 CD music collection. They look great!!! and are very easy to make. 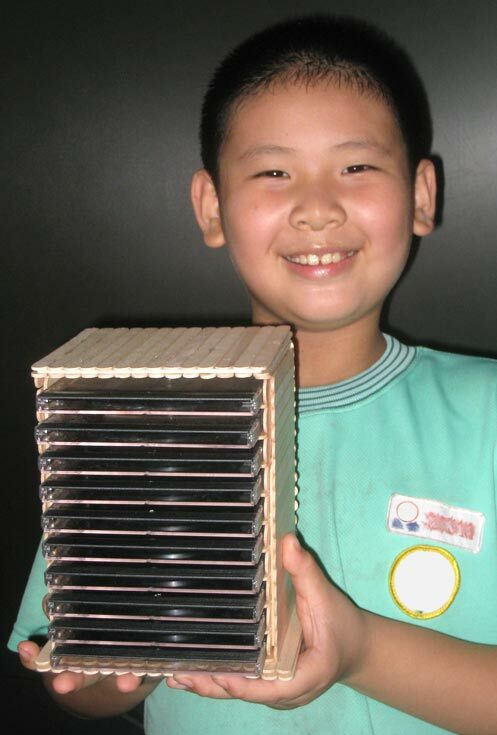 and how many popsicle sticks will I need to hold 2000 cds? 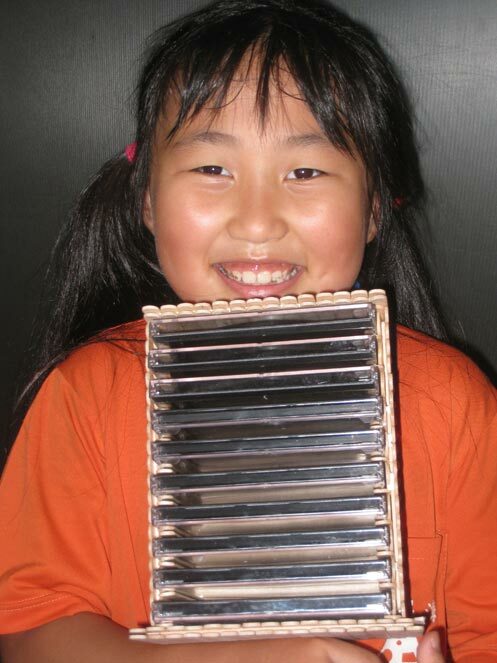 What is the point of a 10 CD holder? The point was to get children to use their hands and create something they could use at home. 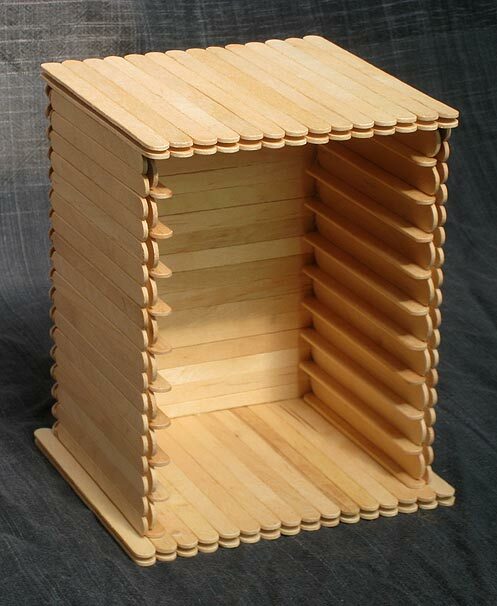 I personally had created a 10 CD collection of my favourite music and gave it away as a gift in this great popsicle stick CD stand. If you wish to make a 2000 CD stand I suggest you buy a packet of sticks and design a module that you can always keep adding to with more sticks. GREAT IDEA ! What a brilliant project for daughter (4) and I, to make in keeping all her educational computer software. Love it ! I love it! I have lots of little helpers that would enjoy making this. Though I do see other purposes (redesigned) for a small drawer saucer rack! Thanks! I love this! My 9 yr old son will be able to make these for christmas gifts! Thank you for sharing! I also think I will make a christmas themed one to hold my christmas cds!